Those waiting for the new Kingdom Hearts 3 action role-playing game that is currently being created by Square Enix for the PlayStation 4 and Xbox One. Will be pleased to learn that Big Hero 6 stars including robot Baymax, will be arriving in the title in a storyline set after the events of the ugly popular Disney Big Hero 6 movie. Over the weekend at Disney’s D23 convention the new Kingdom Hearts 3 game was announced, together with artwork that was unveiled revealing a glimpse of the storyline and characters. Check out the video below to learn more from Walt Disney Animation Studios Producer Roy Conli. 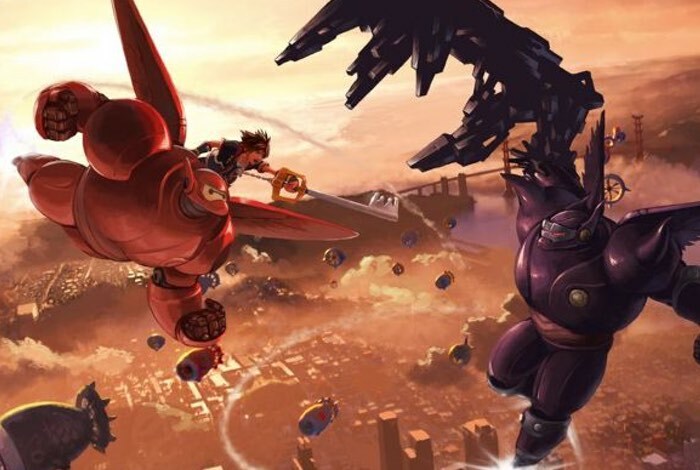 Get ready for the comic-book style action of Big Hero 6, an all-new Disney world coming to KINGDOM HEARTS III! Watch Producer Roy Conli from the Walt Disney Animation Studios deliver the good news with the first details on what you can expect from Sora’s adventures in San Fransokyo! Unfortunately no information on worldwide availability has been released as yet for Kingdom Hearts 3, but as soon as information comes to light we will keep you updated as always.